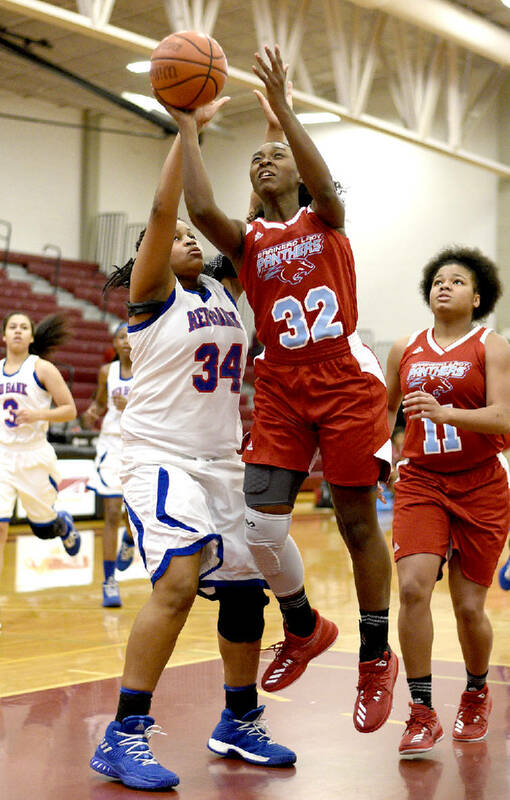 Brainerd's Kimia Carter (32) drives to the hoop inside Red Bank's Bailey Lee during a TSSAA District 6-AA tournament game at Howard in February 2018. This story was updated Feb. 7, 2019, at 8:03 p.m. with more information. East Hamilton's Madison Hayes shoots from 3-point range during a home game against Rhea County in November. Baylor's Beyuan Hendricks dribbles down the court during a game at McCallie last month. 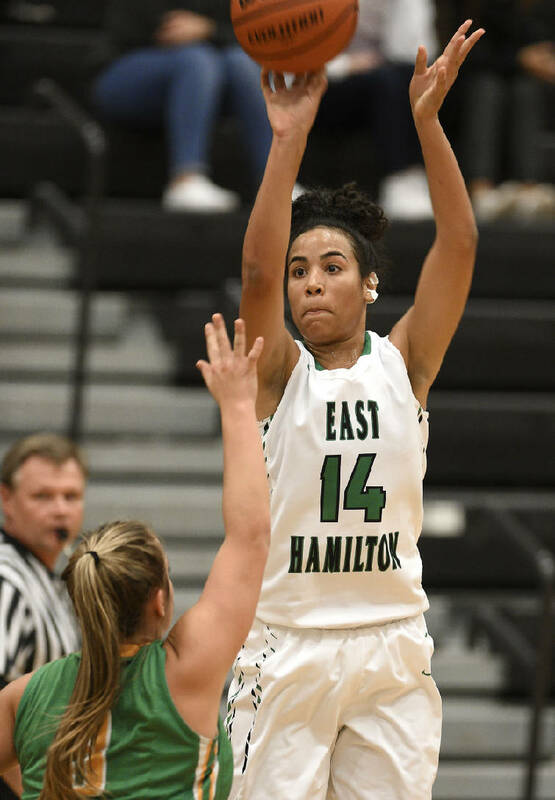 When Madison Hayes was called into East Hamilton's high school office — to meet with administrators, her parents and her basketball coaches — she was hit by a sudden rush of fear. "I saw my parents and everyone there, and I started thinking back to what I might have done to be in trouble," said Hayes, a gifted two-sport junior. Instead, after a few seconds of being allowed to worry, Hayes was told she had been selected as one of three finalists for Tennessee's Class AAA Miss Basketball award. "It's such an honor to know the hard work has paid off," said Hayes, who's rated one of the top prospects in her class in the state. Hayes and Brainerd senior Kimia Carter (Class AA) were the local players announced Thursday as finalists for the TSSAA Miss Basketball award in their respective classifications. 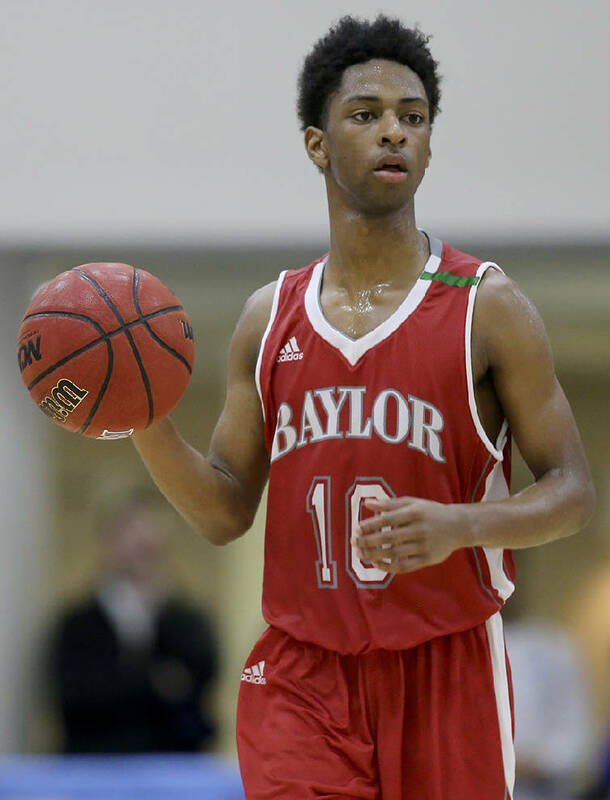 Baylor senior Beyuan Hendricks was named a Mr. Basketball finalist in Division II-AA. Three finalists were named in each of the state's five classifications for both the boys' and girls' awards. The awards will be presented on the floor of the Murphy Center on the campus of Middle Tennessee State University at a time and date to be announced in mid-February. The decision will be based on possible scheduling issues involving Conference USA and MTSU. Hayes has averaged 24.8 points, 11.7 rebounds, 3.5 assists, 3.3 steals and 3.4 blocks per game this season and has scholarship offers from more than 20 college programs, including Louisville, Florida, Georgia, Mississippi State, South Carolina, Georgia Tech, North Carolina State, Syracuse and Wake Forest. Carter, a Stetson University signee, leads the area with a scoring average of 31.7 points per game and has also averaged 8.1 rebounds, five assists and 2.2 steals per game this season. "When I found out, I kind of cried a little bit," Carter said. "As a basketball player, that's something you always want, but I didn't know if I would get it. It's a surreal feeling, but this senior year has already been great." Cumberland County's Gracee Dishman is another Class AA finalist. Hendricks, who earned all-state honors last year while helping the Red Raiders finish as state runners-up, has averaged 18.1 points, 4.5 assists and 3.4 rebounds per game this season and is being recruited by the University of Tennessee at Chattanooga, George Mason, Tennessee Tech, The Citadel, Virginia Military Institute and the University of Alabama in Huntsville. "I was at lunch today and got a Twitter notification, and that's how I found out," Hendricks said. "I didn't even know the list was coming out today until one of my friends tagged me in a tweet and I saw it. "It's humbling and really lets me know that all the hard work I've put in with my teammates has paid off." Contact Stephen Hargis at shargis@timesfreepress.com or 423-757-6293. Follow him on Twitter @StephenHargis.